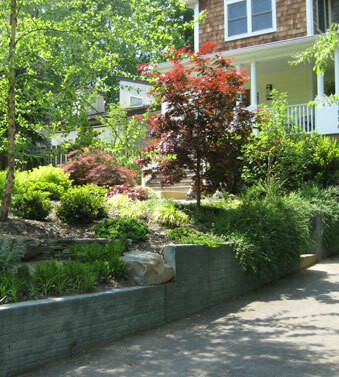 C. Dod Landscaping, Inc. offers Northern Virginia, Montgomery County and Washington D.C. the very best in landscape and hardscape design and installation. We specialize in the design and implementation of exterior spaces that enhance your outdoor living experience in Bethesda, Potomac, Arlington, Vienna and surrounding areas. If you value imaginative thinking and scrupulous attention to detail, you’ll be attracted to the way we work. Our designs create stunning and innovative landscapes that mesh with your lifestyle. Easy Care Gardens – Our easy care gardens offer a synthesis of smart design and careful plant selection. Custom Planting Plans –We are skilled in both formal and naturalistic planting designs that combine horticultural and ecological knowledge to create beautiful year round landscapes. Water Features – We design water features that compliment your home or property and transform the grounds into a unique setting. Formal Landscaping – We have extensive training and experience in creating beautiful formal landscapes that are both elegant and welcoming. Natural Landscaping – Many homeowners are now seeking a crafted but natural-looking and sustainable landscape to enhance their exterior spaces. Others want to embrace native plants and xeriscaping. In either case, we can provide appropriate landscaping designs. Planting Plans – A thoughtful planting plan can make a tremendous difference in the visual appeal of your property over many years. © 2019 Market Hardware, Inc. Additional text content Copyright © 2019, C. Dod Landscaping, Inc.